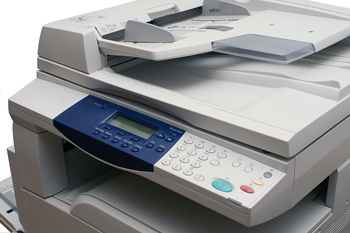 Internal Copy/Print processing costs includes your equipment leases, maintenance contracts and consumables cost of your multifunctional units (copiers), fax machines and printer fleet. By far, this audit yields the highest average savings compared to any other expense in our portfolio. Savings will generally be in the 25-60% range. The audit process begins with a thorough review of all invoices, contracts and inventory lists of your printing equipment. We will review your existing pricing terms, contract language and service agreements. Nearly every client underestimates their internal copy/print expenses, so they are generally surprised to learn just how much they spend. After determining your current costs, we will compare to national benchmarks we've developed over years of auditing this expense. Our report will provide the details of current costs and projected hard cost savings. BLX copy/print auditors will detail a roadmap to savings by addressing technology, client needs, purchase vs. lease options and effective methods of negotiation with vendors. Clients will have full disclosure on our proprietary process. All decisions on vendors, methods of procurement and implementation are client based. We act solely as an independent advisor and advocate to our clients. We are not a vendor, and we are not associated with nor do we endorse any particular vendors. If desired, we can also assist organizations in reducing costs through a custom-designed document management program to rein in wasteful use. This program creates the structure necessary for successful management of documents in electronic format, creating cost savings while simultaneously allowing greater employee efficiency, document availability and backup capability. The process can also identify high volume users within the organization and can include an employee awareness program to raise awareness of the impact of printed documents on our environment.